Heated pool (new 2019) open from May to October (depending on weather conditions) from 10.00am to 09.00pm. The large pool 14 * 7, can accommodate swimmers and non swimmers with its background of different levels of 1 m all around and 1 m 80 in the center. The paddling pool unheated, 40 cm of water. The campsite offers you against low, closed but direct access to the Aveyron, river with calm waters classified 2nd category for fishing. Fishing license card, on sale at the village hardware store. At 200m from the campsite, following the path along the river, you have the opportunity to swim. A space (news 2018), meeting European standards, specially designed for children is at their disposal, with slide, climbing wall, ladder games, swings, turnstile and trampoline. They will be able to meet and have fun in complete safety. Budding cyclists have at their disposal 2ha of flat ground! Think about small bikes. We also rent small bikes with wheels. 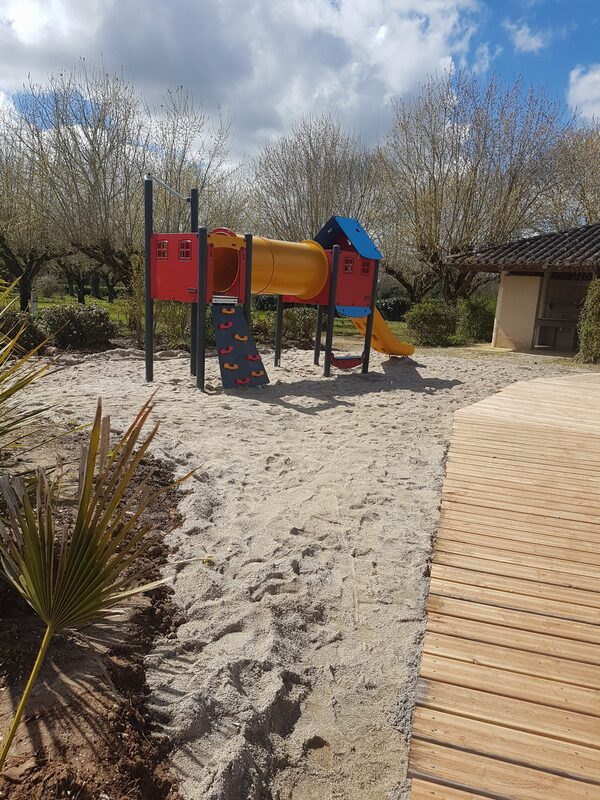 The campsite is perfectly enclosed and secure so that children can live their adventures in the simplest of world, with many friends. You will have the opportunity to play football, basketball, volleyball and badminton on our two courses. A petanque contest is held once a week in July and August, a prize is awarded to each participant with pot of friendship offered. We lend you free balloons, shuttlecocks, racket and petanque balls in exchange for a card in your name. Possibility of organizing matches between vacationers on request. Young and old can feed the dwarf goats, Mimi the sheep, hens and ducks. All this small world loves the company and appreciates a lot to be caressed, come and say hello.